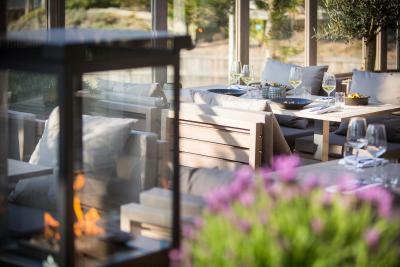 Lock in a great price for Villa de Duinen – rated 9.2 by recent guests! The staff at Villa de Duinen were incredibly invested in our happiness. We had several unique requests during this visit, since we were attending a conference at a different hotel in Noordvijk, all of which were greeted with and responded to with enthusiasm. Dinner at the hotel was exceptional, and the rooms were comfortable and well appointed. 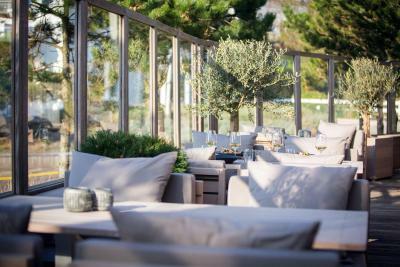 This will totally be our go-to hotel in Noordwijk from this point forward! We felt like we were visiting friends, not just customers. Loved the location of the hotel. The staff is very friendly and helpful. Breakfast is great. Beautiful bike ride to Keukerhof Gardens. 5 star experience in a 4 star hotel! Staff were brilliant, nothing was too much trouble. Location is ideal, hotel is gorgeous, the bed and pillows were heavenly! Loved everything about it. Will definitely be back! Friendly staff, great vibe. We had an amazing stay. Good beds, great breakfast, kind personel. They parked our car for free in a parking garage closeby. Free use of a welness center closeby. Amazing stay. The surrounding, easy parking, easy check in, spacious and very comfortable bathroom. The restaurant in the hotel is fantastic! Stanza molto carina, letto comodissimo, staff gentilissimo e disponibile. Cucina del ristorante di buon livello e qualità, offre cibi con un tocco innovativo molto piacevole e stuzzicante. Delizioso il branzino cotto i crosta: cottura perfetta che ha lasciato succosa la carne! Dessert con rabarbaro ottimo, molto digeribile e quantità contenuta di zucchero. Buona scelta dei vini messi in Carta, buon rapporto qualità/prezzo. Tolles Haus mit sehr freundlichem Personal!! - Klein, sauber, besonders und persönlich!! Buitengewoon vriendelijk kleinschalig en knus hotel waar alles tot in de puntjes verzorgd is. Prachtige kamer met 'verandabalkon'. 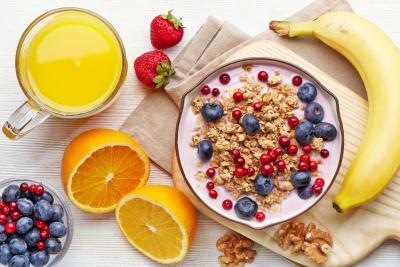 Vriendelijk en attent personeel, prima ontbijt. Villa de Duinen This rating is a reflection of how the property compares to the industry standard when it comes to price, facilities and services available. It's based on a self-evaluation by the property. Use this rating to help choose your stay! 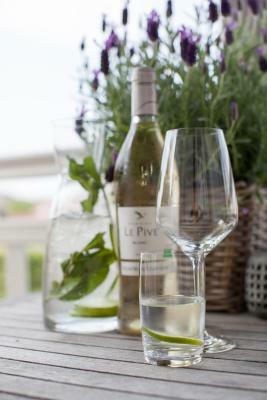 One of our best sellers in Noordwijk aan Zee! Villa De Duinen offers 11 rooms in an historic villa only 5 minutes’ walk from the beach. It features free Wi-Fi, and free entrance to Azzurro Wellness Center 500 feet away. Each of the rooms at De Duinen has a flat-screen TV, a mini-bar and a bathrobe. The rooms have Nilson beds which are made with natural materials including cotton and wool. 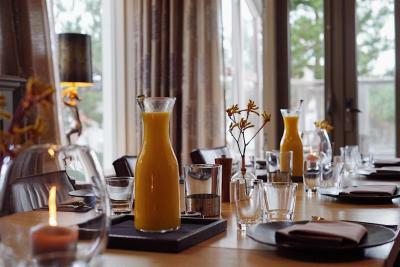 The upscale restaurant of the Villa offers traditional cuisine with contemporary touches in the elegant restaurant. 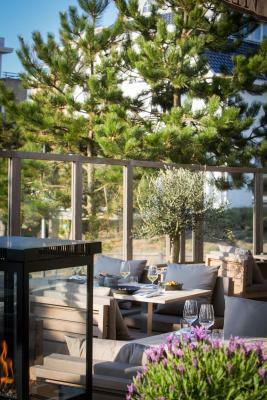 The boulevard and center of Noordwijk are just over a 5-minute walk from the hotel. The key sights of Leiden, including the National Museum of Natural History, are 20 minutes away by car. 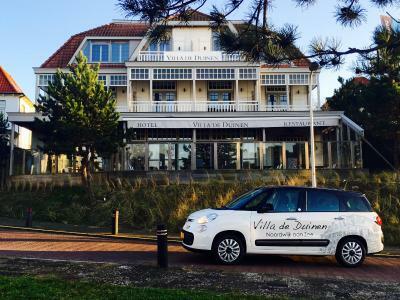 When would you like to stay at Villa de Duinen? This spacious room includes a luxurious bathroom, mini-bar and safe. This room includes a luxurious bathroom, mini-bar and safe. These rooms have a large balcony, kingsize bed with design bedding and luxurious bathrooms with shower and or bath and Bulgari amenities. It also has a mini-bar, a flat-screen TV and a laptop safe. As the name 'Villa' already implies. Villa de Duinen is a beautiful historic manor build in 1902. Extensively modernised in the last few years, the Villa offers a beautiful contemporary luxurious comfort in a informal romantic boutique hotel. 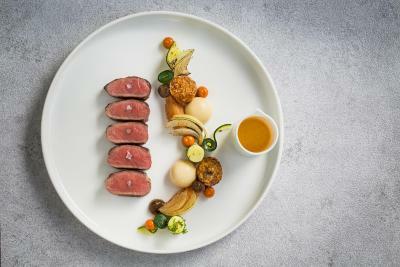 In our restaurant we serve fine classic French dishes with a contemporary twist. 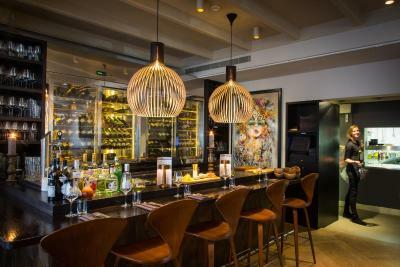 Treat yourself to a well prepared cocktail at the bar or enjoy a tasteful glass of wine from our extensive wine collection. 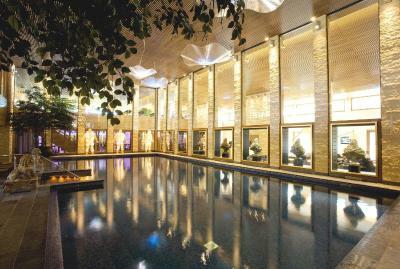 During your stay in the Villa you have complementary access to the impressive Spa Wellness & Beauty center Azzurro Wellness. (Pleas note that this is only for 18 years and older!) We are looking forward to welcome you! House Rules Villa de Duinen takes special requests – add in the next step! ATM card Villa de Duinen accepts these cards and reserves the right to temporarily hold an amount prior to arrival. Villa de Duinen accepts these cards and reserves the right to temporarily hold an amount prior to arrival. The restaurant is open for lunch and dinner all week. Please note that guests at the 18 years and older are allowed in the Wellness Centre and bathing suit is mandatory. We had a couple issues, but these were handled quickly and immediately, so we have no complaints. The staff and accommodation were amazing. The size of the room - it was so small! It was challenging to find a bit of space to lay down my luggage and open it. Difficult to imagine two people is such room. Dinner was too gourmet for our tastes.